When exploring the vast open spaces of the Western United States, millions of travelers visit iconic National Parks like the Grand Canyon or Yosemite. 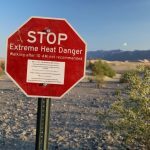 For the uninitiated, Death Valley National Park may appear to simply be a wasteland with record breaking temperatures famous for frying eggs on blacktop. 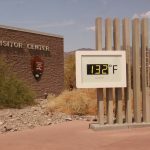 But dig deeper and you have one of the country’s largest National Parks with extremely comfortable daytime winter and early spring temperatures rarely climbing above 85 degrees. There are magnificent striations of color in the barren landscape that change by the minute as the sun’s light changes angle. The tranquility of utter silence is bathed in natural beauty resembling the surface of another planet rather than simply a desert. At the center of it all is a natural spring fed oasis nestled into a lush hillside ringed by date palms, gardens, pools, and even a nearby golf course. First discovered by Native peoples, a steady stream of visitors soon followed including 49er prospectors during the California Gold Rush, legendary Borax 20 Mule Teams, and Hollywood film crews along with throngs of curiosity seekers and tourists. 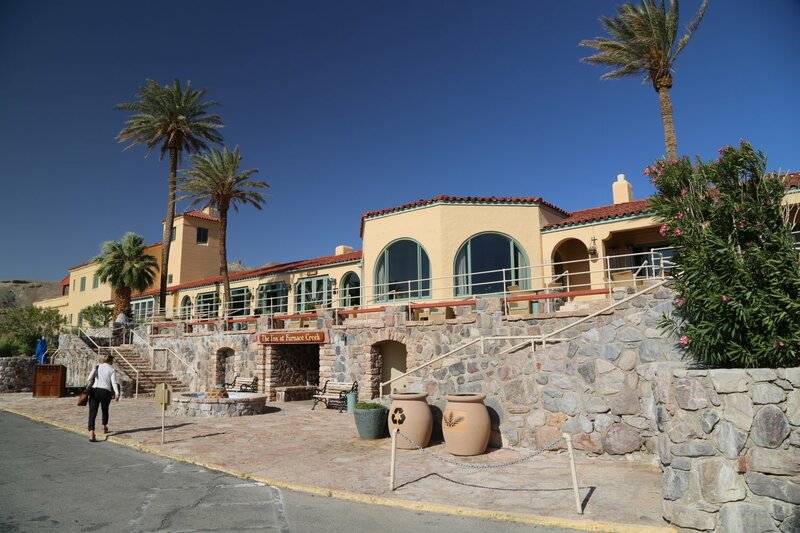 Remaining the only place to stay in the National Park, Furnace Creek Resort was built here in 1927 and is now AAA Four-Diamond The Oasis at Death Valley undergoing a multi-million-dollar renaissance. 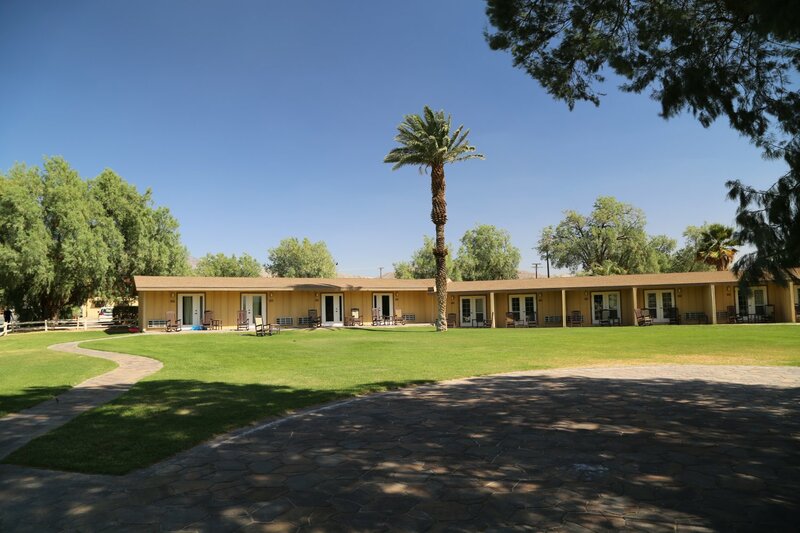 Featuring 66 newly refurbished rooms resulting from a complete rehab from frame to furnishings, everything in the Inn including the lobby was stripped of dated and ill advised upgrades over the years covering up the property’s original Spanish Colonial Revival Mission style architectural grandeur. The Inn’s renowned dining room and bar once again sports polished wood and Saltillo tile flooring, new banquette seating, walls adorned with period paintings from the owner’s personal collection, and original exposed timber beamed ceilings. Expanded outdoor terraced seating includes sweeping views shaded by pergolas shrouded by vines and misters. The addition of cabanas and a poolside bar further enhances the spring-fed 85 degree pool surrounded by an extensive patio and rows of barrel palms. A renovated fitness center, sauna, and massage rooms all overlook the serenity of a cascading stream running through the lush Oasis Gardens. 22 new private 2-bedroom casitas are being built right on the periphery while across the street, the Mission Gardens, originally the site of the inn’s original laundry facilities now hosts event space for meetings and retreats. The Ranch portion of the property is a mile down Route 190 from the Inn. Evolving from its initial 1950s footprint as a simple motor lodge with rooms and accompanying patios overlooking a grassy courtyard shaded by century old willow trees to the back, everything at The Ranch is being redesigned and redeveloped. 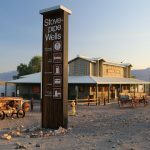 What was once a barren parking out in front with many disparate components like a Post office,Borax Museum, and riding stables will be tied together with a mission-style town square where resort guests and Death Valley visitors alike can gather and trade stories. A wrap-around portico will overlook the square and central fountain while inside, a town-hall-style hotel reception area will accompany a real general store, old fashioned ice cream counter, buffet, and authentic Western Saloon complete with swinging doors a la Gunsmoke. A large spring-fed pool for guests will remain and retro touches like hitching posts and troughs will provide a historical as well as practical repose particularly for those on horseback from the onsite stables. Dependent on their own energy sources and water from the beginning, The Oasis at Death Valley utilizes even fewer resources than before thanks to the latest technological advances like Auralast Low E 366 glazing on the windows, low-flow water fixtures, and capture and reuse of gray water whenever possible. Low wattage energy efficient LED or compact fluorescent down lit outdoor lighting is powered by solar according to time of day and usage requirements reducing light pollution protecting the night skies. 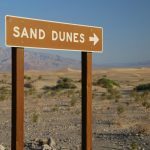 George Lucas was so taken aback by Death Valley’s stunning natural beauty that he filmed scenes for the original Star Wars movies at nearby Dante’s View, Mesquite Flat Sand Dunes, and Golden Canyons. The Oasis has you covered with an exclusive map of all the filming locations, many of which are easily accessible by car. But Death Valley is equally stunning once the breathtaking western sunsets give way to expansive night skies with endless stars and the Milky Way visible on clear nights without a telescope. 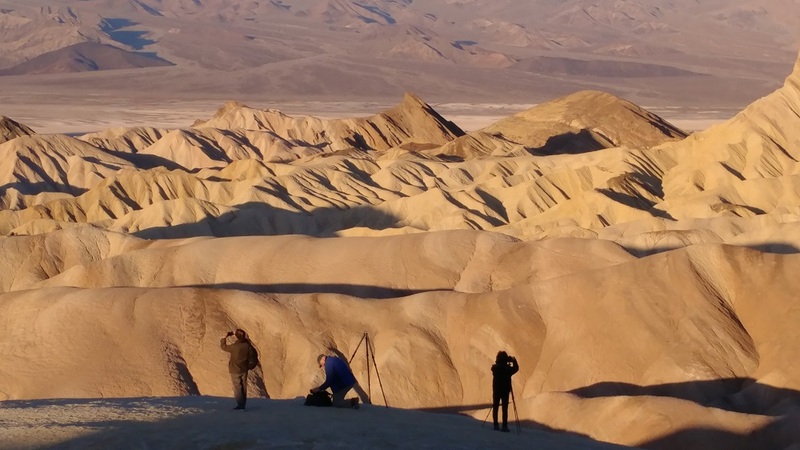 Total darkness is increasingly hard to find across the globe and those seeking dark skies for witnessing astronomical wonders make Death Valley a must-visit destination as one of the only gold-tier designated International Dark Sky Parks in the United States. Staff in conjunction with the Las Vegas Astronomical Society host a series of Star Parties and moonlit horseback rides. 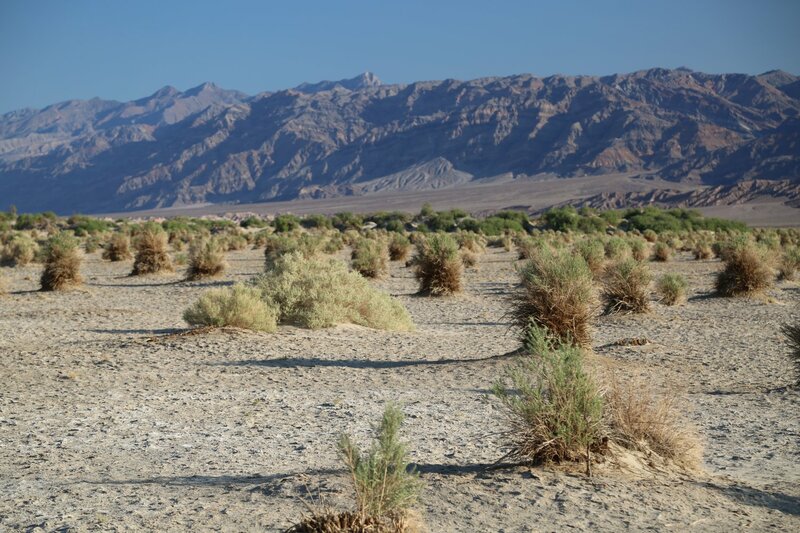 13.70 acres of turf were replaced with regionally appropriate desert plantings watered by computerized single head drip irrigation zoned by plant type, water requirement, and sun exposure. A new reinforced polyethylene (RPE) lake liner in the course’s irrigation pond prevents seepage of tens of thousands of gallons of water. At the end of your game, be sure to steer your golf cart over to the 19th-hole drive-in lunch counter accessible by ramp and place your order for their classic Back Nine Burger or a Birdie Sandwich. Cool. I will put Death Valley on my bucket list.